Apple, Google, and other major U.S.-based multinationals may soon be able to bring more of their foreign-earned income back to American shores without facing a huge tax burden, as lawmakers are moving forward on a tax reform framework that could eliminate taxes on international earnings and authorize a one-time repatriation holiday. 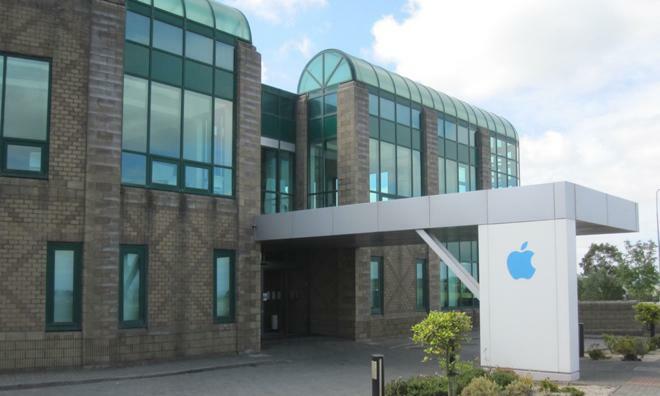 Apple's European headquarters in Cork, Ireland, via Flickr user Sigalakos. Congressional leaders on both sides of the aisle and the White House are now on the same page when it comes to corporate tax reform, according to The Wall Street Journal. The revamp— which might also include new tax rules for intellectual property— would in part raise money to fund an expansive highway infrastructure investments program. "Everyone is largely in agreement on the building blocks of a deal," Rep. John Delaney told the publication. The sentiment in Congress is to "get the framework set, so then we can arm wrestle on the numbers," he added. For now, the U.S. is the only developed country that imposes taxes on the worldwide income of its citizens and corporations. In addition to the broader tax code rewrite, both parties have reportedly agreed that it would be beneficial to offer a one-time repatriation tax holiday that would allow multinationals to bring their current foreign cash back to the U.S. at a steeply discounted tax rate. Without such an opportunity, most companies— including Apple— choose to fund expensive U.S.-based projects with debt, as even long-term debt service is substantially cheaper than paying high U.S. taxes on money that has already been taxed once overseas. Apple has been a vocal proponent of corporate tax reform, with chief executive Tim Cook appearing before Congress to testify about his company's practices vis-a-vis its overseas operations. "It would be very expensive to bring that cash back to the United States," Cook said in 2013 when asked why Apple keeps so much money overseas. "Unfortunately, the tax code has not kept up with the digital age." During its third-quarter earnings call on Tuesday, Apple revealed that its cash hoard has now passed $200 billion, with $190 billion of that sum held offshore.